The Austrian: A War Criminal’s Story by Ellie Midwood opens with a short prologue entitled “Nuremberg prison, October 1946.” Ernst Kaltenbrunner, a former leader of the Austrian SS, has been tried by the International Military Tribunal and sentenced to hang. He is preparing to meet his death, ten minutes ahead, with dignity. The chapters that follow recount the events that led to his trial and the verdict. The author has based this novel not only on actual historical events, but has fictionalised many of the main characters who lived and fought for the Third Reich, such as Ernst Kalterbrunner himself, Martin Bormann, Adolph Hitler’s private secretary, and Heinrich Muller, the Chief of the Gestapo. 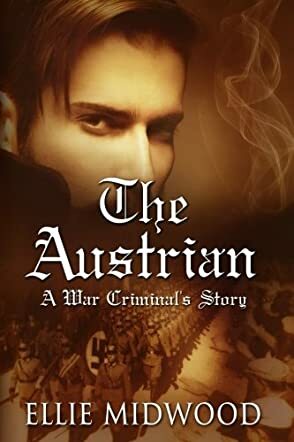 Ellie Midwood’s historical novel, The Austrian: A War Criminal’s Story, has a prologue that features the last ten minutes of Ernst Kalterbrunner’s life. It seemed an unlikely start to the story, but the drama had me gripped instantly. The secret lies in the sixteen chapters being sub-divided into sections, each with the place and date stated. This makes it incredibly easy to follow a book written almost entirely in flashbacks. Some of them are set in the years immediately prior to WW2; others recount Ernst’s earliest childhood memories, including the departure of his father to fight in WW1. Still more show him growing to adulthood and his love life, his first interest being a girl with golden hair who is actually a Jewess. Well-written and researched, the whole book is vivid and intriguing. I recommend it to anyone, whether or not they have a special interest in war stories. Based on the real life character of Ernst Kaltenbrunner this well written novel provides an insight into how an ordinary boy came to be head of the Austrian SS and on trial at Nuremberg for war crimes. Making a war criminal the central character and tracing his life from child to the gallows is a huge challenge, but the author manages to pull it off so cleverly that it's hard at stages not to sympathise with Kaltenbrunner. The technique of having alternating narratives which switch between his past and his present in a military prison where he reflects on his life works very well and against a detailed historical backdrop lets the reader see him develop as a man and as a Nazi. The sense of time and place is excellent and the doomed romances that he has with two Jewish women who are clearly the loves of his life are gripping story lines. Overall it's an engrossing story that I would happily recommend to anyone who enjoys intelligent historical fiction and a really good read. It was difficult for me to separate the moral significance of The Austrian by Ellie Midwood with the current unrest facing the world today. All the way through, it strikes a hauntingly familiar chord. The author fictitiously and uniquely maps the life of Nazi war-criminal Ernst Kaltenbrunner through a masterfully crafted chain of flashbacks that keeps the reader constantly attentive. The historical accounting is accurate without being weighty, allowing the reader to easily move in and out of the events which shape Ernst’s tragic plight His stubborn personality and often self-serving decisions unintentionally land him in a rapidly increasing current he can’t withstand without literally sacrificing his own life, which of course, he is unwilling to do. Ernst is human, and we can only shake our heads with a hint of empathy as we witness his descent, his transformation into something he never dreamed he would become. I’m usually a reader of fantasy fiction involving dragons but the author has reminded me that there are still real dragons walking upright amongst us, causing great harm in the world we do live in. I highly recommend this book! It is entertaining, educational and thought provoking. Five stars! When I first picked up this book, I did not know what to expect. As a lover of historical fiction, particularly 20th Century and the two world wars, I thought that this was a unique way to tell a story - from the viewpoint of a war criminal, and a real one at that, as he stands trial at Nuremburg. I was intrigued to find out how it would be done. Although this is a fictionalised account of the life of the head of the Austrian SS, Ernst Kaltenbrunner, with many, I am sure, made up scenarios, this is an exceptional piece of literature that captures the mindset of a man who finds himself in a position, and with an authority that he did not necessarily ask for. Or is he merely reluctant to accept the blame for what he has become, and that his current predicament is all of his own making? A flawed character, who can be both anti-Semitic and kind, both a murderer and a penitent man he displays both good and bad attributes that show the contradictions of human nature. Jumping back and forth from his incarceration at Nuremburg to his childhood in Austria, we follow his story as he grows into a man, gets involved with the Nazi party and the SS, and how, despite his quite hectic love life, the memories of his true love, Annalise Friedmann, fill his thoughts and dreams as he awaits the hangman. He is tortured by the life he has wasted and the love he has lost. Kaltenbrunner relates his life story to the reader and the assortment of psychiatrists, lawyers and government agents who visit him, in an attempt to work out how he has come to be in the position he finds himself. Is he in denial regarding the crimes he has committed or is there any kind of truth to his argument that he had no knowledge of many of the things the Allies claim he was involved in? Does he seek forgiveness for what he has done or does he just accept that his fate is out of his hands and arguing his ‘innocence’ is pointless? Is his only regret a selfish one, that for the love that is now lost forever? Ellie Midwood has created an exceptional character and story here, make no mistake, and it leaves the reader asking many questions about the good and bad of human nature long after the book has been put down. Her writing style keeps you hooked from first page to last and it is obvious that the book has been heavily researched as she writes with a clear authority of her subject matter. I highly recommend this book to anyone with an interest in historical fiction, WW2 or just great story telling in general. You will not be disappointed. Having read ‘Emilia’ a little while ago, I was keen to read more Ellie Midwood – ‘The Austrian’ didn’t disappoint. It’s a compelling read that has been split into two works, although, in all honesty, I think it should have been presented as a single piece as neither book really hold its own as a distinct novel but together, it’s a fascinating read. The author alternates between time periods in the life of our protagonist, Ernst Kaltenbrunner, a factual character with a propensity to do as he pleases. Skilfully handled, this method works well, allowing the reader to easily transition between scenes with no confusion. Applying a fair degree of artistic licence, especially the ending, the author gives this Nazi SS-Obergruppenführer a conscience – a bold move that could have backfired but in my case, it didn’t. I felt neither sympathy, nor respect for this self-serving, self-pitying man, but I did come to understand some of the motivating factors that may have driven him to act as he did. The prose may not be perfect (and let’s face it, what publication is ever flawless) but it’s an entertaining read to the end so it’s 5 stars from me. If you’re into WW2 fiction that provides a Nazi-point-of-view, ‘The Austrian’ may be what you’re looking for. If you study Ellie Midwood’s body of work, three things become apparent. First, she tends to win quite a few awards. In this era of thousands and thousands of self-published novels, winning major awards is no small feat, and once you dig into her books, you see why she garners the awards she does. Her books are gripping, fascinating, and extremely important. Secondly, she has really immersed herself in one topic and era, and the results are stellar. Ms. Midwood has established herself as an expert and a major literary force on the topic of Nazi Germany, and her research and knowledge are made manifest with each page. Finally, she brings a special passion and perspective to her work. There are countless books and novels about WWII, but Ms. Midwood brings what I believe to be a highly cerebral, psychoanalytical, and I dare say, feminine approach to the era. In “The Austrian”, the underlying theme becomes quickly apparent. How did this happen? How did human beings and innocent children gradually become the soulless monsters of the Third Reich? Did their parents love them? Were they ever in love? Were they capable of feeling remorse for their actions? “The Austrian” recounts the tale of Ernst Kaltenbrunner, an imposing Austrian who rose to prominence in the Third Reich, and was put on trial at Nuremberg. First and foremost, the book does what any great historical novel should do: It makes the reader run for their computer in order to do further research on the characters and setting. I have to admit I was halfway through the book before I realized Kaltenbrunner was a real person, and not a fictional creation. Ms. Midwood’s portrayal of his life was very accurate and spellbinding. The book uses a very intensive split-chronology, and the results are brilliant. From a condemned war criminal’s prison cell, we are treated to his life story. How did this happen? How did an innocent, happy Austrian child wind up as the architect of so much inhumanity? If I had to find anything to criticize, I didn’t like the choice of model on the cover. I almost thought he brought a strange “Twilight” vampire vibe that didn’t mesh with a serious, thought-provoking book. Pretty minor complaint in the whole scheme of things, however. Bottom line, five stars and highly recommended. A probing, provocative character study of love and loyalty in a world of evil and hatred.